Colors of Light | Irene Abdou Photography, LLC - Travel. Lifestyle. Documentary. NGOs, Development & Public Health. Liverpool, England: August 26, 2007. 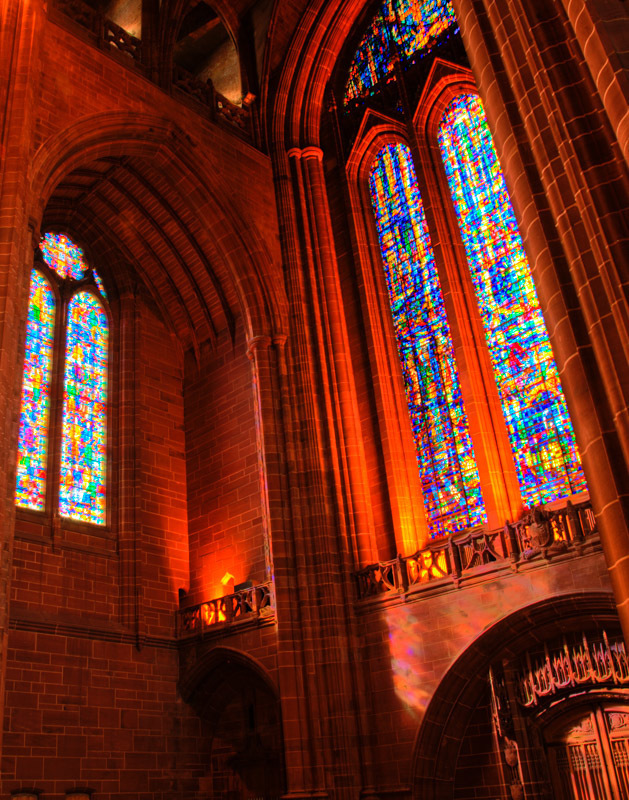 High dynamic range (HDR) imaging shows off the intricate interior architecture as well as the detail of this stained glass window in the Roman Catholic Metropolitan Cathedral of Liverpool in England's 5th most populous city. One of the tallest cathedrals in the world, it rises up to 100 meters high and is a popular and beautiful destination for tourists to the city.